Description: A beautiful dresser in our new range, featuring decorative cut out hearts and black valentino door pulls and handles. This dresser is built in 2 parts. 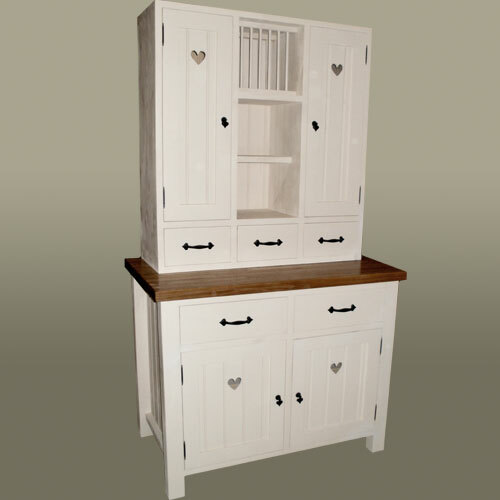 The base unit is designed with a simple 2 drawer, over 2 door layout and includes one internal shelf. 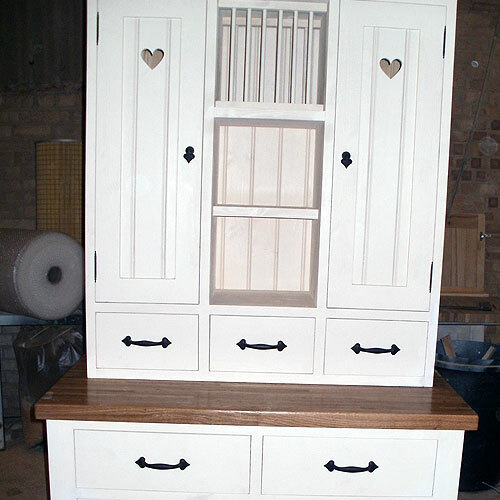 The upper half of the dresser has 3 small storage / spice drawers and 2 elegant narrow cupboards with internal shelving. At the top, in the centre, there is a lovely plate rack, followed by open shelving underneath. 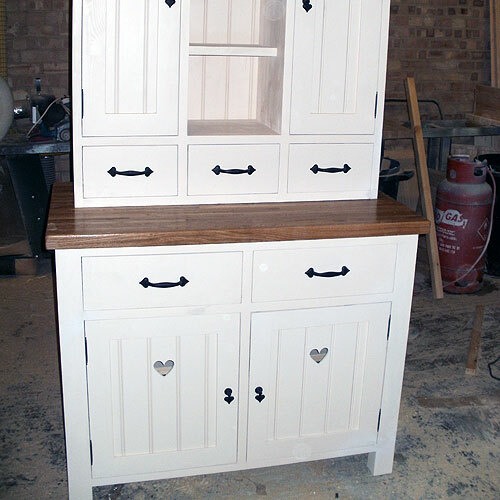 Comes complete with 4cm thick Oak Worktop. Colour shown: Farrow and Ball, Pointing.